A deep-rooted need that is still topical: closing the water cycle. A prospect, which means reducing costs, waste and the impact on the territory. As a solution, an innovative treatment plant designed for a paper mill at the heart of Tuscany, which is capable of reducing ground water withdrawals by 50%. The path followed over the years by the Sofidel Group stems from a business concept, which cannot be considered in isolation from the environment where the group works, but rather has to be integrated in this environment respecting it and using its resources in the best way possible. We have gone back over a part of this path together with Riccardo Balducci, who is Sofidel Corporate Environmental Manager. He told us about the recent start of the first «Waste Water Reuse» plant of the group, which was built in the Delicarta paper mill in Porcari, Tuscany (Italy) and produces tissue paper reels. Porcari is a small town in the province of Lucca, which is characterised by the presence of several paper mills. The area traditional propensity to this type of production is also due to the large quantities of water available, which is indispensable for the papermaking process. Yet, the strong concentration of industrial activities and decades of exploitation have highlighted the pressing need to reduce the pressure on the environment. 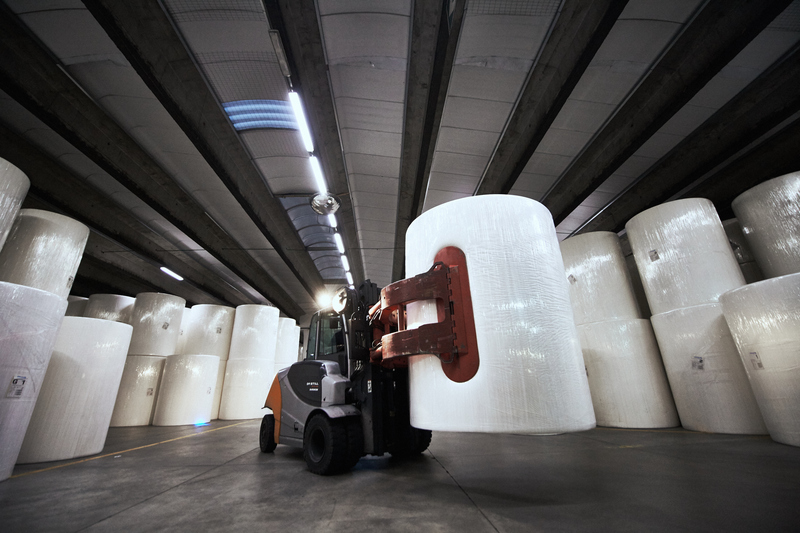 In line with the environmental policies of the Sofidel Group to preserve natural resources, the paper mill soon set itself the objective to reduce draining, i.e. ground water withdrawals. «Delicarta had attempted to close the water cycle in the past», says Mr Balducci, «by making full use of available traditional technologies with various tricks, which also implied raising the awareness of its personnel. Once a level of optimization was reached, beyond which traditional methods could no longer be used, we had to resort to more complex technologies, which had in the meantime become more mature and reliable». Hence the idea of resorting to a treatment plant capable of reusing the production cycle of the waste waters, which had been up to that moment disposed of in the industrial sewage system. Well before the measure, the improvements implemented over the years had made it possible to register water consumption levels at the Delicarta plant below 6 litres drained water per kg paper produced, this being a very good figure even when compared to the Sofidel Group average of 7.6 l/kg in 2013. «Innovative measures were necessary, if we wanted to go beyond these results». «In 2012, it became technologically possible to build the water waste reuse» with an overall investment of about 3 million Euro. With the new solution, the water waste outgoing from the cycle undergoes three depuration cycles. «First of all, biological treatment occurs through an active sludge aerobic reactor, which triggers the abatement of the polluting organic load; the water purifier is equipped with an innovative section, which makes it possible to filter water through an ultrafiltration plant». The biological reactor and this ultrafiltration section, which represents the core of the entire plant, make up for the MBR (Membrane Biological Reactor), whose task is to separate solid from liquid waste. «The water coming out of these two steps is already very clean and free from suspended solids, and yet it undergoes a third step. This is represented by reverse osmosis, whose task is to remove the remaining dissolved salts that normally accumulate during the paper production process and whose concentration make the latter very difficult. Removing the salty fraction is thus necessary». Water is now finally purified and its «quality is equal to, or even better than, the quality of water withdrawn from a well or a river» and only at this stage can it be used again in the production cycle. Although the plant was started only at the end of 2014, it has already shown tangible benefits. It is estimated that thanks to the new treatment plant the amount of drained water can be reduced by 50%, whereby water consumption has already been optimized. This way, the amount of drained water will go down from 700 000 to 350 000 m3/year. At the same time, the impact on waste water has dramatically diminished bringing about a significant reduction in the costs of the purifier and positive repercussions on the sewage system of the Lucca plain, which thanks to the waste water recovered now bears a much lighter burden with a further positive effect on the area. January data has shown a quantity of drained water, which is already below 4 litres per kg paper, whereby in the paper mill it is hoped that this result is not only made tangible, but even further improved. Yet, the installation of the Waste Water Reuse technology does not only bring about advantages as regards water supply, but it also exercises considerable influence also in terms of product quality. As Mr. Balducci explains, very hard groundwater is found in the Lucca plain due to chalk deposits, which require the introduction of chemical additives to be solved. The water flowing out from the new purifier, instead, is much fresher and free of salts. This makes it possible to limit the use of chemical products on the one hand and to make the paper production step much more stable on the other. «The entire cycle will thus be cleaner with the advantage that some typical problems in paper production, i.e. fouling or chalk deposits of the paper machine, or even the formation of stains on the final products, can be solved». These results can be, however, verified after at least six months of continuous operation of the machine. In the design stage the paper mill also had to take the issue of increased power consumption into account, with more electricity needed to power the new plant. This increased power consumption affects the overall consumption of the production site. Mr. Balducci says that «although the purifier does not consume a high energy load, it undoubtedly contributes to increasing the energy consumption of the whole site. Its extra-consumptions are below 3%, however, so the power increase is measurable but not so significant». Delicarta had moreover provided to significantly reduce said consumption, with the plant already being brought to a level of considerable efficiency. The paper mill is furthermore equipped with combined power and steam generation plant, which provides for general energy savings and the reduction of emissions in the atmosphere. Furthermore, for some years the plant has consumed the power produced by the power photovoltaic roof cover, which is made up of 30 000 m2 solar photovoltaic panels capable of producing about 2 MW electricity. Larger consumption will certainly affect the investment payback time, which will be long, yet this cost has been duly calculated. As Mr Balducci says, after all «our main intention was to experiment a new technology and protect the local environment». The Waste Water Reuse plant at the Porcari site is the very first featuring this type of technology innovation that has been installed in the Sofidel Group, with the owners are currently planning to replicate it in other sites of the group. «We have given us a couple of months for experimentation», says the company manager. «The plant has just been started and we would like first and foremost to check how reliable the technology and its results are; once the necessary checks are made, we will start thinking about a similar plant elsewhere». The project will obviously have to be implemented with the necessary modifications, enabling it to meet the specific needs of each individual site. The existence of any paper mill depends of course on water resources, however «our aim is to replicate the plant first of all in sites, where the cost of water is very high and actual problems of water availability exist – in some countries, water scarcity is a particularly serious problem». A water purification plant like the one in Porcari would enable to reduce both the risk of excessive economic expenditure, and the problem of reduced water availability. Building the plant has been a complex operation, which required overcoming a number of difficulties. Timing has been necessarily long: three years have elapsed from the project idea, which was developed at the beginning of 2012 and followed by the innovation of the economic and financial model, to the start of the plant, which took place at the end of 2014. In this period of time, an important step consisted in the selection of the supplier with whom the project was to be developed. We carried out a careful evaluation, as «we wanted to make sure that we selected a player capable of providing the best technology and the most advanced skills». Our choice went to Degremont who was our main contractor for the entire project and provided guidance to other subcontractors in the project implementation. Subcontractors included also General Electric, which produced the systems for the MBR ultrafiltration section, i.e. the most important part of the entire plant. Degremont has matured experience mainly in the oil, gas and energy sector. 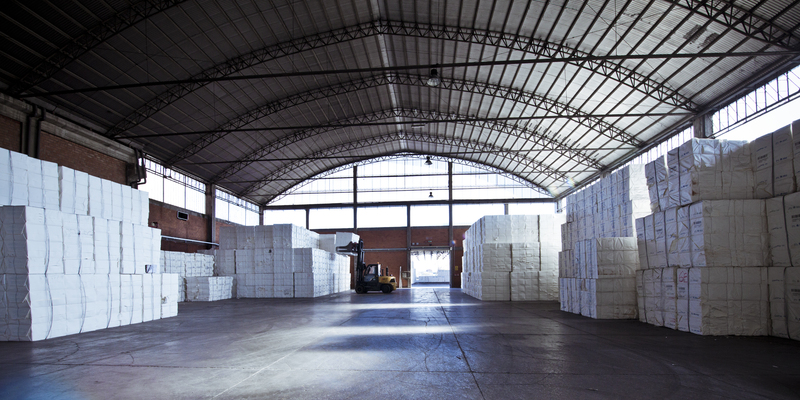 The work done with Delicarta was Degremont’s first experience in the tissue paper industry. The company provided for the main engineering part of the plant, whose construction started in August 2013. Times could have been shorter, but the construction phase was slowed down due to the sudden crisis of the building company that had been entrusted with the construction of the reinforced concrete structure; works then resumed with the structure finalized and the building site closed in June of the following year. The start up thus took place at the end of 2014. Since January 2015 the plant has been fully operational. The Porcari plant is the biggest owned by Delicarta spa. It has three lines producing a total of 120 000 tons paper a year and can produce all the most important tissue paper types: toilet tissue paper, kitchen towels, table napkins and handkerchiefs. The plant produces large reels, which are then processed in various related converting companies, whose finite products are targeted to private labels of the large-scale retail sector in Italy and Europe, as well as to consumer markets and the «Away from home» industry. Regina toilet rolls is the most famous brand for which Delicarta Cartiera produces: it is well known in all major reference markets of the tissue sector. 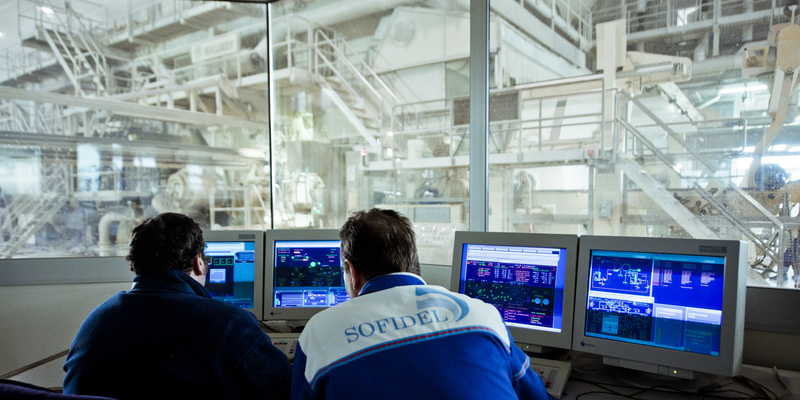 The Sofidel Group has seven manufacturing plants in Italy out of a total of twenty-nine plants owned by the group in thirteen countries. 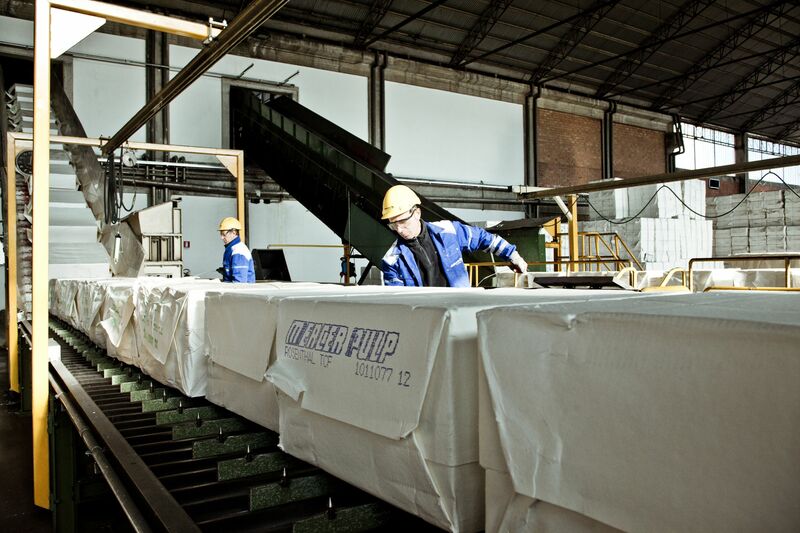 Six of them are in the Lucchesia area and one in Monfalcone in the province of Gorizia; they are partly owned by the Sofidel Company with headquarters in Porcari, and partly by Soffass and Delicarta. Italian companies feature an overall production capacity of 271 000 tons every year out of a total figure registered for the whole group of over a million tons. This corresponds to a turnover of about 20% of the total, which was nearly 1.7 million euro in 2013.